One of the main selling "chips" iOS 11 was support Arkite - a set of development tools that makes it relatively easy to create applications with support for augmented reality. Objects modeled by ARKit can memorize their location in real space, they can be rotated and moved, disassembled into its constituent elements. So far, Augmented Reality (AR) for iOS is represented mainly by information and partner applications. But the elegant simplicity of ARKit attracts more and more independent developers experimenting with tutorials, furniture catalogs and even puzzles in our dimension. Below are the most interesting applications from the Apple Store, actively using augmented reality mode. "Drawing" in augmented reality quickly broke records of popularity among the owners of the iPhone and iPad. The application not only allows you to decorate the world with three-dimensional drawings to your liking, but also saves them, so that everyone who studies the painted terrain with the help of the program can see the results of someone else's creativity. A free application that allows you to "try on" the furnishings by putting a 3D model of a bed or a coffee table on the space of your own room. A great alternative to a similar program from IKEA, which is not yet available in the Russian-language App Store. 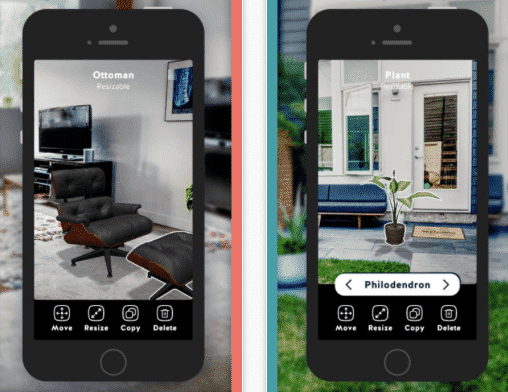 Augmented reality for iOS keeps the brand: Housecraft can keep in mind the location of several objects at the same time, quite realistic “keeps” them in the chosen position, allowing you to evaluate the interior from any angle. Detailed model of the human body with switchable elements. 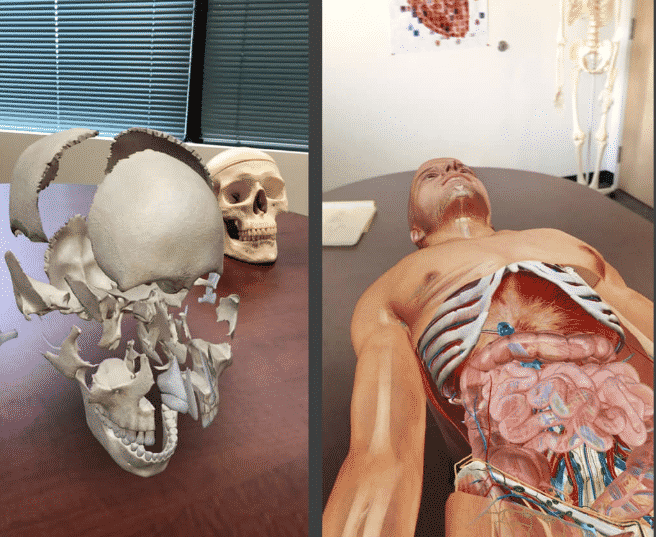 The atlas will bring the greatest benefit to medical students using the IPhone or iPad for study: a carefully recreated skeleton with muscles can be viewed not only from the outside, but also from the inside. The application was unexpectedly popular with ordinary visitors to the App Store. Probably due to the fact that it is more interesting to study the possibilities of augmented reality on the human body. A set of tools for measuring straight lines and angles in real space. 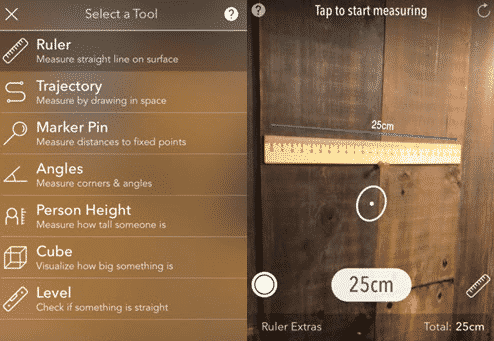 In the free version, only the ruler function is available, but even it is enough to make the application popular in everyday life (like a flashlight, for example). Holders of the full version can calculate the length of lines of any shape, as well as draw cubes and calculate their parameters. 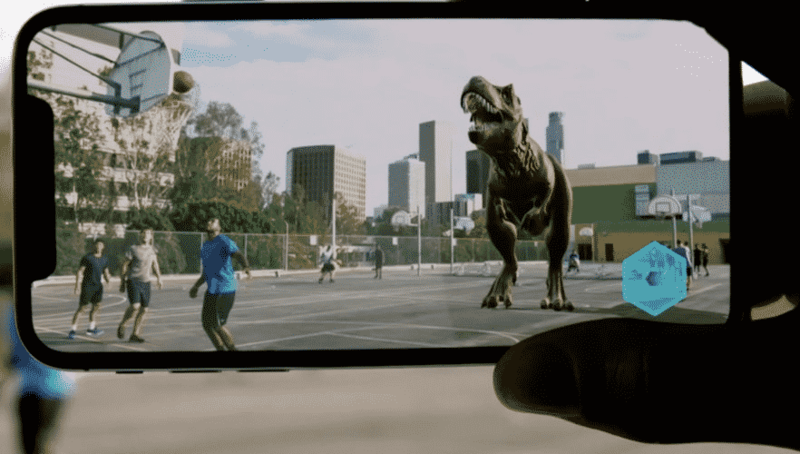 Here, augmented reality for iOS becomes truly unique: a window to the park with dinosaurs appears not far from the user! You can watch the life of prehistoric creatures from afar or "come to visit." 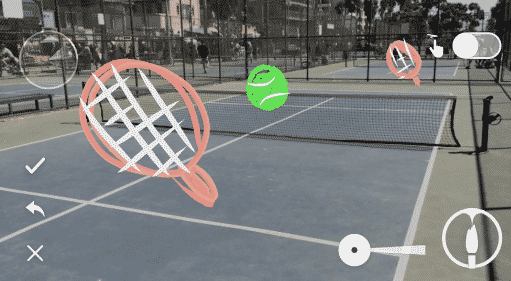 The application is notable for its unusual use of ArKIT features: in the park, only a viewing angle remains from augmented reality, and all objects of the real world are lost in the jungle. The popular car sales service has received an update that includes the features of augmented reality in Apple devices. Now users can not only view photos of the car of interest and choose the most attractive price, but also estimate how much space the car will take in the parking space or in the garage. 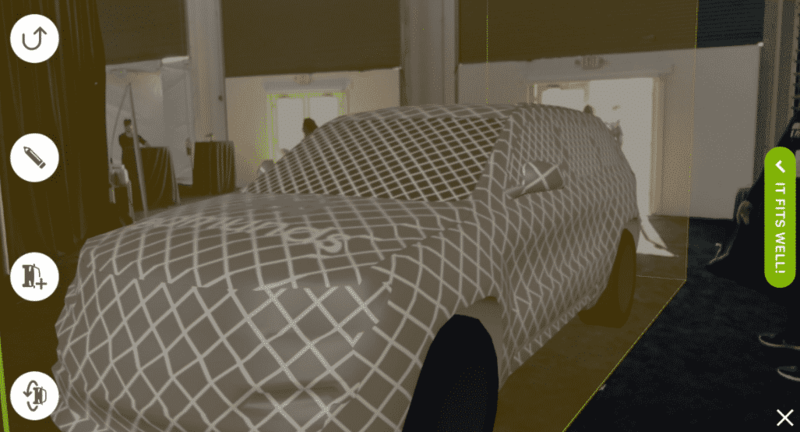 You can visualize almost every available model of car, the proportions are identical to the original. If you want to show the children how the augmented reality works for iOS, then simply download the game about the adventure of Thomas the Tank Engine. With the help of simple tools, the child will build a railway, on which the train will travel. The finished route can be placed on the nursery floor, on the table or directly on the couch, and then start over. Sports competitive game in the best traditions of Pokemon Go and a simulator escape from zombies. Augmented reality mode is used here as an auxiliary tool, directing to checkpoint with real geo-referencing. 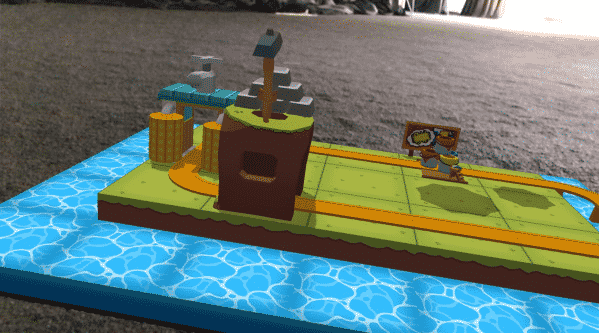 AR Runner is designed to pass in the "multiplayer": players compete for a high result in the standings. 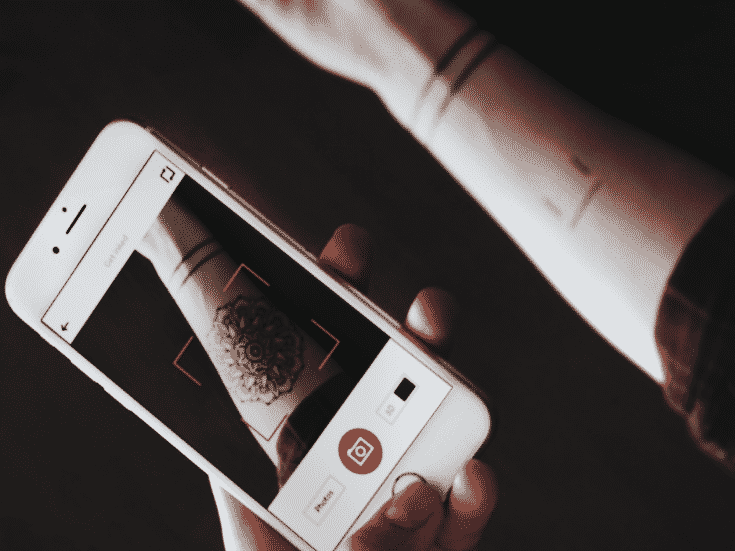 An application with which you can see how the tattoo looked on your arm. Since the flat image has to be stretched on a real volumetric object, the program asks you to put several auxiliary lines, and you will have to draw them with a pen or felt-tip pen. Tattoos are selected from the built-in catalog, a large collection. 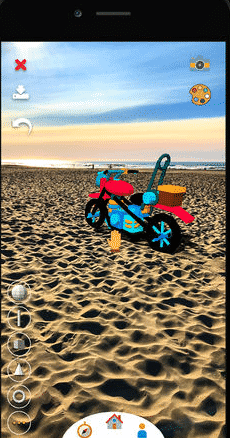 Sandbox game without a specific goal, which allows to make objects of any complexity in augmented reality from simple geometric objects. Compared to other applications, Orb may look modest, but in reality the process of building virtual locks and 3D models is no worse than Minecraft.